Quails’ Gate is one of the most established producers in the Okanagan Valley. They make a wide range of wines, but are most well known for producing some of the Valley’s top Pinot Noir and Chardonnay. 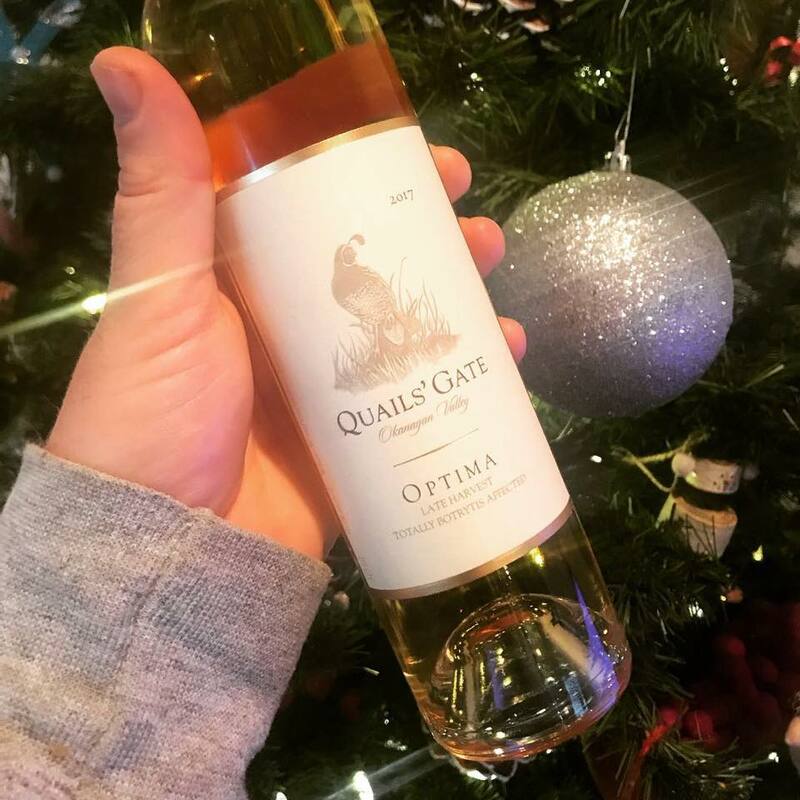 The Optima has a tendency to fly under the radar slightly for no other reason other than that dessert wines don’t always get the attention they deserve. This is the perfect time of year to be drinking sweet wines. Let’s also keep in mind that it is about half as sweet (half the price) of most ice wines in the Valley. This wine is intensely aromatic with notes of fresh apricot, poached quince and wildflower honey. It’s rich and unctuous on the palate, lusciously sweet with a long finish reminiscent of lemon and orange rind. This wine is a great match for Christmas desserts like apple tart and perfect with any cheese plate. To be honest, I actually sipped some the other night with super buttery, salted popcorn and it was fantastic.